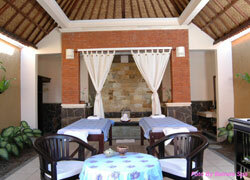 Spa Spend luxurious time in Baliwis spa, which is the Bali style to overflow and full of green in Nusa Dua. They use the original 100 % natural materials for aroma oil and scrubbing cream. 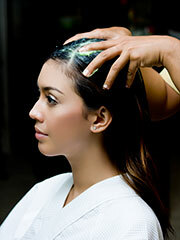 You can enjoy treatment with the safe and natural products. The Harmonies massage with two spa therapist for one guest in balancing movement and shinchronies it is combination of Hawaian lomi-lomi and traditional Balinese massage technique. Shirodhara is a mental relaxation treatment using oil flow on the third eyes to stimulate and balance the dosha (Ayurveda body type). 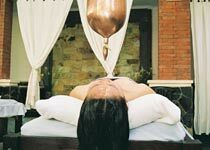 Ayurveda Shirodhara included cream bath. 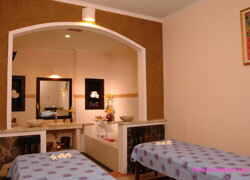 A traditional relaxing massage combination of acupressure, Swedish massage and relaxing massage. A traditional relaxing massage combination of acupressure, Swedish massage in according to the your choice of 4 different aroma therapy oil massage. Pressure point into deep tissue massage combination with yoga's stretching. A relaxing long stroke lomi-lomi massage pampering by warm stone to relaxing musclenette and detoxification, putting stone on the point of the muscle to increase your blood circulation. The technique used in Thai body work are all designed to facilitate and stimulate the flow of intrisic energies and to release blockages, In this contex "Healty" and "pain free" refer not only to the purely physical but also to the mental, emotional and spiritual aspect of one's being. Special foot treatment to relax foot muscles and increase blood circulation for a stronger body resistance. A Focus treatment for foot zones to restore the natural flow of body energy. A special treatment for the hair, exclusively from Indonesia, which includes a conditioning scalp massage, moisturizing hair cream, warm steam and neck and shoulder massage. To smoother and refine the skin, ehile its delicate aroma will refresh and elevate the wood. 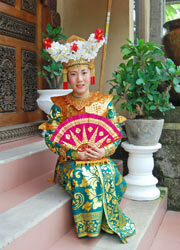 The treatment has effect to remove body wastes and make moisturized skin. It is ideal treatment for detox, moisture and whitening. In addition, it controls reactive oxygen that causes spots and wrinkle, prevent arteriosclerosis and anti-stress, etc. 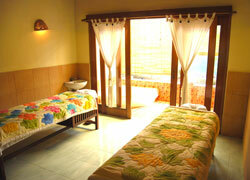 ※ For Villa Spa package, children and accompany guests also can stay in the villa without extra charge. 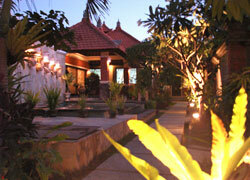 ※ This package includes Jacuzzi and Baliwis Het Pool use. Please bring your own swimsuit. 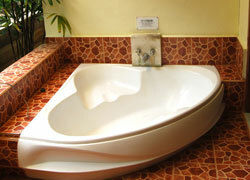 ※ his package includes Jacuzzi and Baliwis Het Pool use. Please bring your own swimsuit. 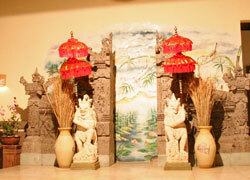 Free Transport Area：Nusa dua, Kuta, Jimbaran, Sanur from 1 person. Additional: Rp.40,000/return Free drop-off to the airport is available. 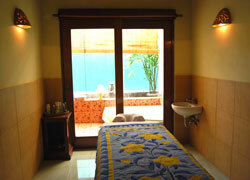 Soft touch [Balinese Massage] is available for children age over 7, and [Body Scrub/ Creambath] is available for age over 12. ・Also you can have meal at inside spa restaurant. I had Asian beauty. LOL The spa has also villas in it, I took a little walk to feel the nature in this spa. Next time I`ll try VIP room. 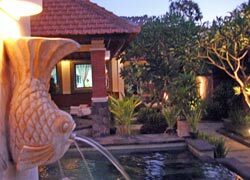 It was the first time for to get a Balinese massage, so I couldn’t compare with others, but I got a very good massage for 60 minutes. My feet were a little painful but I felt very good. 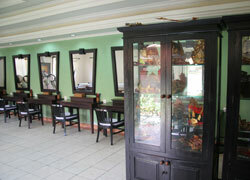 The price is also very reasonable, and I think the salon gave better treatment more than the price I paid. But, when I came into the treatment room, it had a damp smell. I have to accept it because here is Southeast Asia…?